Welcome to our series on the best Christmas markets in Europe! Make sure to check out our Christmas Market Breaks page for lots of holiday ideas as well as our top Hotel Deals for European Christmas Markets page. The irresistibly charming city of Bruges has a fairytale quality on any day of the year. Visiting at Christmastime, however, is like stepping foot into a winter wonderland come to life. The cobblestone streets echo with horse drawn carriages and jewel box houses along the canals are illuminated with holiday lights, all just a stone's throw from your Bruges hotel. Best of all, the holiday period in Bruges is filled with Christmas markets and festivities. 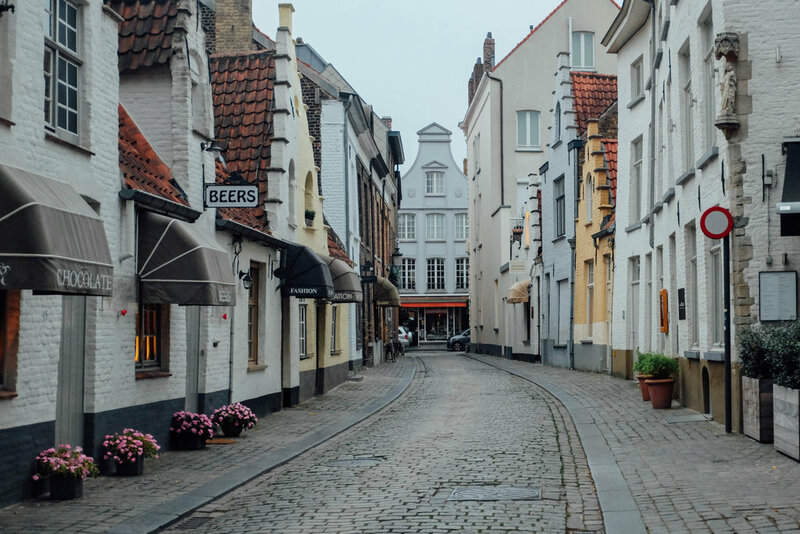 With Bruges' long history as a center for merchants throughout the centuries, the medieval village is the perfect stop to browse and shop through the seasonal stalls. Bruges' main market square, known as Grote Markt, becomes the setting for a large Christmas fair from late November until early January. Wooden chalet-style stands are open every day of the week, selling edible treats and homemade holiday goods. 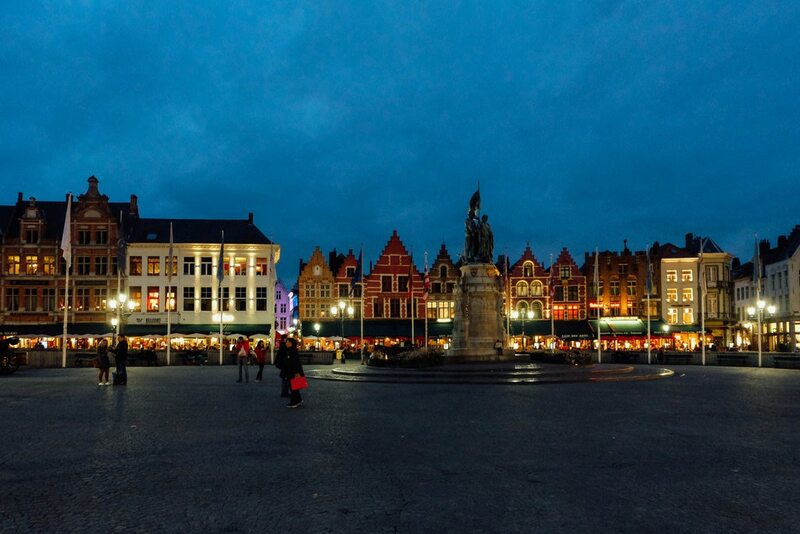 The square is a popular stop for hot chocolate, mulled wine, or warm jenever (a Belgian gin). The drinks and food sold from the wintery huts can be enjoyed starting around lunchtime but by late morning, shoppers are already buzzing around the stalls offering gifts. Many of the stands specialize in Christmas decor, and some of the unique ornaments are adorned with frills made by hand - a homage to Bruges' long history of lace-making. After taking a spin around the market, visitors can also hire skates to do laps around the ice rink at the centre of the square. Otherwise, the 13th century belfry tower offers the best perch for watching the skaters circle the ice, and taking in the view of the festivities from above. Finally, be sure to pass through the neighboring Burg square to admire the Christmas tree with shopping bags in hand. Beyond the famous Grote Markt, Christmas shops and holiday settings can be found throughout the tiny lanes of Bruges. A second stop should be Simon Stevinplein Square, a smaller piazza full of cafes and chocolatiers. As Christmas approaches, the outdoor tables and chairs are set aside in favor of small stalls offering holiday treats. Less expansive than Grote Markt, Simon Stevinplein Markt is also less crowded - leaving more room for leisurely browsing and dining. The seasonal huts specialize in warm foods as well as cozy clothes and holiday decorations. After touring the Bruges' outdoor Christmas markets, more seasonal decorations await at the Käthe Wohlfahrt stores (Walplein 12 and Breidelstraat 8). Filled with holiday décor from top to bottom, the Christmas emporium has a sprawling selection of baubles, figurines and cribs. Hanging from the display trees are wooden ornaments and glass curios of every size and shape imaginable. The decorations, which originally hail from Germany, also include Nutcrackers, music boxes and advent calendars to add a special touch to any holiday celebration. Click here for more on how to plan the perfect holiday to Bruges! This hotel will place a credit card pre-authorization for the entire amount of stay for any bookings where payment for the stay will be made on site instead of at the time of booking. For more details, please contact the office using the information on the reservation confirmation received after booking. This elegant 17th-century listed mansion house hotel enjoys a prime location in the heart of the historical city center of Bruges, only 100 metres from the main square and its famous Belfry tower, and all the major attractions and shopping streets. Fall in love with all the tasty treasures Bruges has to offer. In a country where food is a big deal, you’re sure to find anything that tickles your fancy!